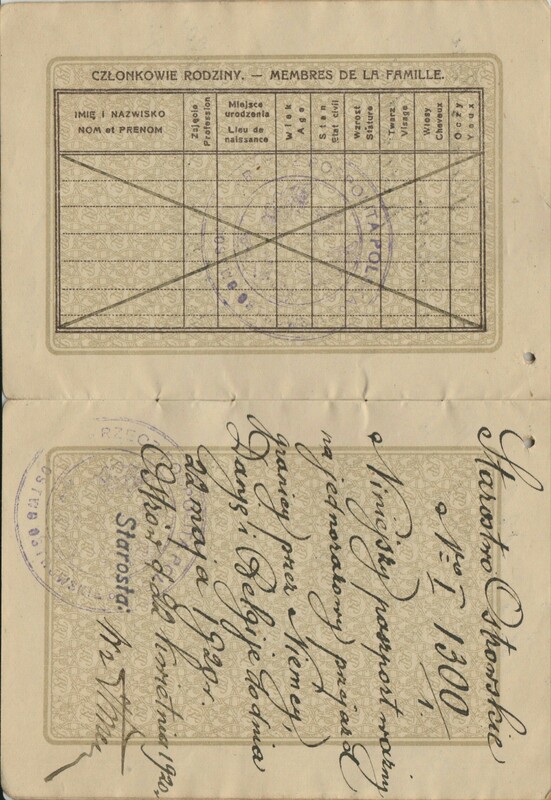 One of the four sons of Moritz and Helen, Bernard apparently – judging from the travel document below – went to Belgium some time between April 22 and May 22, 1920. Moritz, Sol, Abram (Adolph) and Helen sailed to Canada from Antwerp, Belgium, on August 24, 1920, but Bernard was not with them. (They were on the ship Grampian. Sol‘s memoir mentions this emigration and shows the name of the ship at the end.) Bernard and Ted were the two oldest, so perhaps they travelled on their own a bit earlier or later.